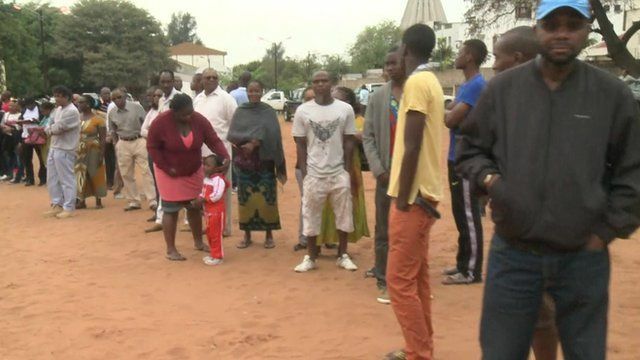 Queue at Mozambique polling station Jump to media player Elections are being held held in Mozambique, with the governing Frelimo party facing a tough challenge from longstanding opponent, Renamo. Mozambique prepares for election Jump to media player Campaigning in Mozambique for presidential elections comes to an end as President Armando Guebuza prepares to step down after two terms in office. Elections are being held held in Mozambique, with the governing Frelimo party facing a tough challenge from longstanding opponent, Renamo. Emmanuel Igunza reports from a busy polling station in Mozambique's capital Maputo.